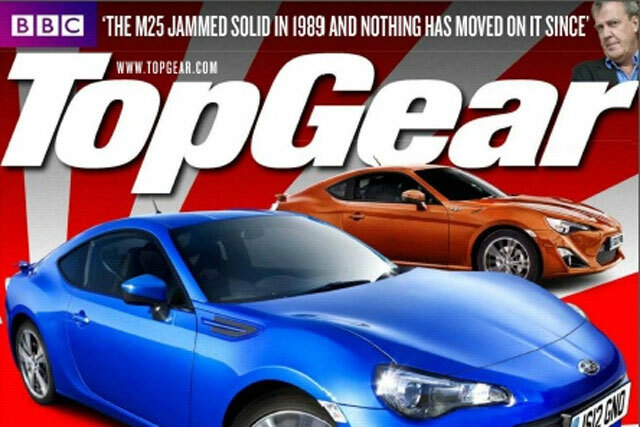 The average circulation of BBC Top Gear Magazine has slumped by 18.6% year on year to 155,017 copies amid tough times for the automotive publishing sector. The magazine, which is published by Immediate Media Company under contract from BBC Worldwide, is down 14% since the second half of 2011. The decline puts the £3.99 monthly a quarter below the high point of its circulation, which it hit in the second half of 2009. Immediate Media remained upbeat about the figures. Simon Carrington, its publisher, said: "In a tough and challenging marketplace, Top Gear Magazine remains the UK’s best selling motoring title enjoying a 45.9% share of the monthly general motoring market. "Great content also travels well, and Top Gear Magazine has enjoyed an incredible year of growth internationally, adding seven new international editions to our portfolio, meaning that more than a million people worldwide now read our magazine every month." Zoe Bale, head of press at Carat, said Top Gear had become the victim of the success of the TV show. "The hardest hit title in this period was Top Gear, though after 18 series of the show, and with endless repeats on Dave, it is not surprising that public interest has begun to wane," she said. "Nonetheless Top Gear remains the colossus astride the motoring sector with more than double the circulation of any other title, and still substantially outsells wider men’s lifestyle titles such as FHM." The second-biggest title in the market, Haymarket’s What Car?, suffered the second-biggest year-on-year fall, dropping 11.8% to 72,384 copies. Bauer’s Car, which bucked the trend in the last ABCs, did so again (although only by a relatively small margin), rising 0.3% year on year to 54,171. Niall Clarkson, managing director for Bauer Media’s motoring portfolio said: "Car has grown its year-on-year ABC. That's because Car is on top of its game, with brilliant coverage of a broad mix of cars and a real sense of fun and passion for cars, car people and motorsport." The overall car magazine sector fell 11.6% year on year to 432,480 copies. Dennis Publishing's Evo was down 9.1% year on year to 55,815 copies and Haymarket's Autocar dropped 9.2% year on year to 40,460 copies. Dennis’s Auto Express was less badly hit, dropping 3.2% year on year to 54,633 copies. Bale said: "Car was the only title to post a flat figure year-on-year, though other publishers will not be worried by their declines as they look towards a more digital future. "Evo launched its interactive iPad app over a year ago, and with estimated monthly active users of 10-20,000 their audience is already buying into this new platform. "Following that success, Dennis launched the June issue of Octane on iPad, with Auto Express due to launch shortly while Auto Trader are due to expand from their listings heritage by launching a new iPad magazine called Ignition in October."